In each period of time, God will begin new work, and in each period, there will be a new beginning among man. If man only abides by the truths that “Jehovah is God” and “Jesus is Christ,” which are truths that only apply to a single age, then man will never keep up with the work of the Holy Spirit, and will forever be incapable of gaining the work of the Holy Spirit. Regardless of how God works, man follows without the slightest doubt, and he follows closely. In this way, how could man be eliminated by the Holy Spirit? Regardless of what God does, as long as man is certain that it is the work of the Holy Spirit, and cooperates in the work of the Holy Spirit without any misgivings, and tries to meet the requirements of God, then how could he be punished? 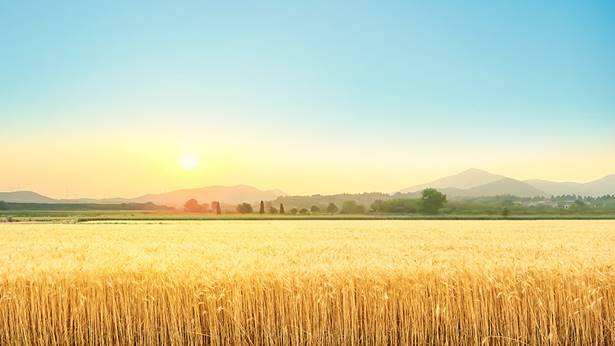 The work of God has never ceased, His footsteps have never halted, and prior to the completion of His work of management, He has always been busy, and never stops. But man is different: Having gained but a modicum of the Holy Spirit’s work, he treats it as if it will never change; having gained a little knowledge, he does not go forth to follow the footsteps of God’s newer work; having seen but a bit of God’s work, he immediately prescribes God as a particular wooden figure, and believes that God will always remain in this form that he sees before him, that it was like this in the past and will always be thus in the future; having gained but a superficial knowledge, man is so proud that he forgets himself and begins to wantonly proclaim the disposition and being of God that simply do not exist; and having become certain about one stage of the Holy Spirit’s work, no matter what kind of person it is that proclaims the new work of God, man does not accept it. These are people who cannot accept the new work of the Holy Spirit; they are too conservative, and incapable of accepting new things. Such people are those who believe in God but also reject God. Man believes that the Israelites were wrong to “only believe in Jehovah and not believe in Jesus,” yet the majority of people act out a role in which they “only believe in Jehovah and reject Jesus” and “long for the return of the Messiah, but oppose the Messiah who is called Jesus.” No wonder, then, that people still live under the domain of Satan after accepting one stage of the work of the Holy Spirit, and still do not receive God’s blessings. Is this not the result of man’s rebelliousness? … Even though they have the “utmost loyalty” toward the words spoken by God, their words and actions still feel so disgusting because they oppose the work of the Holy Spirit, and commit deceit and evil. Those who do not follow to the very end, who do not keep up with the work of the Holy Spirit, and who only cleave to the old work have not only failed to achieve loyalty to God, but on the contrary, have become those who oppose God, have become those who are rejected by the new age, and who will be punished. Are there any more pitiable than them? If man always calls Me Jesus Christ, but does not know that I have begun a new age during the last days and have embarked upon new work, and if man always obsessively awaits the arrival of Jesus the Savior, then I shall call people such as this the ones who do not believe in Me. They are people who do not know Me, and their belief in Me is a sham. Could such people witness the arrival of Jesus the Savior from heaven? What they await is not My arrival, but the arrival of the King of the Jews. They do not yearn for My annihilation of this impure old world, but instead long for the second coming of Jesus, whereupon they will be redeemed; they look forward to Jesus once more redeeming all of mankind from this defiled and unrighteous land. How can such people become those who complete My work during the last days? The desires of man are incapable of achieving My wishes or accomplishing My work, for man merely admires or cherishes the work that I have done before, and has no idea that I am the God Himself who is always new and never old. Man only knows that I am Jehovah, and Jesus, and has no inkling that I am the Last, the One who shall bring mankind to an end. All that man yearns for and knows is of his own conception, and is merely that which he can see with his own eyes. It is not in line with the work I do, but in disharmony with it. If you use your own conceptions to measure and delimit God, as if God were an unchanging statue of clay, and if you completely delimit God within the parameters of the Bible and contain Him within a limited scope of work, then this proves that you have condemned God. Because the Jews in the age of the Old Testament took God to be an idol of fixed form that they held in their hearts, as if God could only be called the Messiah, and only He who was called the Messiah could be God, and because humanity served and worshiped God as if He were a (lifeless) clay statue, they nailed the Jesus of that time to the cross, sentencing Him to death—the guiltless Jesus was thus condemned to death. God was innocent of any offense, yet man refused to spare Him, and insisted on sentencing Him to death, and so Jesus was crucified. Man always believes that God is unchanging, and defines Him on the basis of one single book, the Bible, as though man has thoroughly penetrated God’s management, as though man has gotten all that God does in the palm of his hand. People are absurd in the extreme, arrogant in the extreme, and they all have a flair for hyperbole. No matter how great your knowledge of God, I still say that you do not know God, that you are someone who opposes God the most, and that you have condemned God, because you are utterly incapable of obeying the work of God and walking the path of being made perfect by God. Why is God never satisfied with the actions of man? Because man does not know God, because he has too many conceptions, and because his knowledge of God in no jot matches the reality, but instead monotonously repeats the same theme without variation and uses the same approach for every situation. And so, having come to earth today, God is once more nailed to the cross by man. 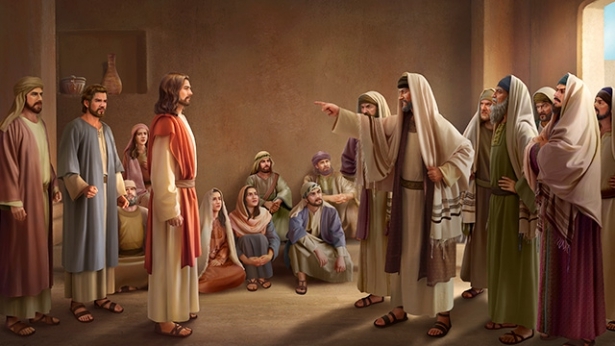 Do you wish to know the root of why the Pharisees opposed Jesus? Do you wish to know the substance of the Pharisees? They were full of fantasies about the Messiah. What’s more, they believed only that the Messiah would come, yet did not seek the truth of life. And so, even today they still await the Messiah, for they have no knowledge of the way of life, and do not know what the way of truth is. How, say you, could such foolish, stubborn and ignorant people gain God’s blessing? How could they behold the Messiah? They opposed Jesus because they did not know the direction of the Holy Spirit’s work, because they did not know the way of truth spoken by Jesus, and, furthermore, because they did not understand the Messiah. And since they had never seen the Messiah, and had never been in the company of the Messiah, they made the mistake of paying empty tribute to the name of the Messiah while opposing the substance of the Messiah by any means. These Pharisees in substance were stubborn, arrogant, and did not obey the truth. The principle of their belief in God is: No matter how profound Your preaching, no matter how high Your authority, You are not Christ unless You are called the Messiah. Are these views not preposterous and ridiculous? I ask you again: Is it not extremely easy for you to commit the mistakes of the earliest Pharisees, given that you have not the slightest understanding of Jesus? Are you able to discern the way of truth? Can you truly guarantee that you will not oppose Christ? Are you able to follow the work of the Holy Spirit? If you do not know whether you will oppose Christ, then I say that you are already living on the brink of death. Those who did not know the Messiah were all capable of opposing Jesus, of rejecting Jesus, of slandering Him. People who do not understand Jesus are all capable of denying Him, and reviling Him. Moreover, they are capable of seeing the return of Jesus as the deceit of Satan, and more people shall condemn Jesus returned to flesh. Does not all of this make you afraid? What you face shall be blasphemy against the Holy Spirit, the ruination of the words of the Holy Spirit to the churches, and the spurning of all that is expressed by Jesus. What can you gain from Jesus if you are so befuddled? How can you understand the work of Jesus when He returns to flesh on a white cloud, if you obstinately refuse to realize your errors? I tell you this: People who do not accept the truth, yet blindly await the arrival of Jesus upon white clouds, will surely blaspheme against the Holy Spirit, and they are the category that shall be destroyed. You merely wish for the grace of Jesus, and merely want to enjoy the blissful realm of heaven, yet you have never obeyed the words spoken by Jesus, and have never received the truth expressed by Jesus when He returns to flesh. What will you hold up in exchange for the fact of Jesus’ return upon a white cloud? Is it the sincerity in which you repeatedly commit sins, and then confess them, over and over? What will you offer in sacrifice to Jesus who returns upon a white cloud? Is it the years of work with which you exalt yourselves? What will you hold up to make the returned Jesus trust you? Is it that arrogant nature of yours, which does not obey any truth? Previous：God’s name may change, but His essence will never change. Next：What are the differences between the words expressed by the Lord Jesus in the Age of Grace and the words expressed by Almighty God in the Age of Kingdom?